Don’t let the title fool you! 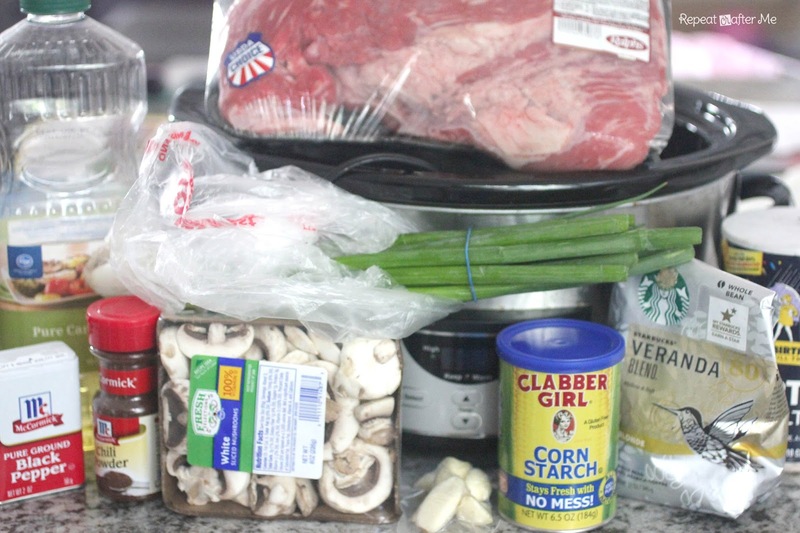 The secret ingredient to making the beef super tender is a cup of Starbucks Verdana (Blonde) Coffee! The Verdana is very mellow in flavor and works perfectly with this recipe. 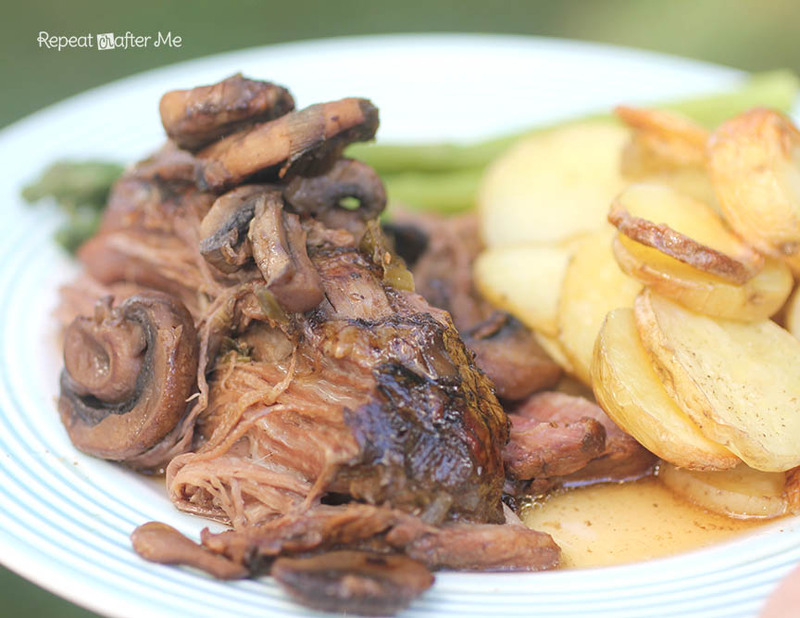 Your roast won’t actually taste like coffee, it just gives the meat a nice dark gravy to cook in. 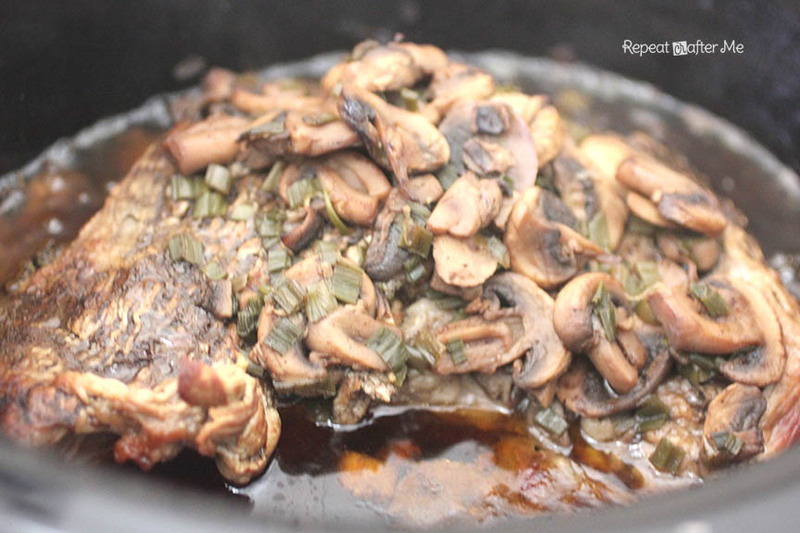 A great comfort dish that makes a great dinner for any time of the year! – 1 cup brewed Starbucks Verdana Coffee (or any light/blonde coffee would work). 1. 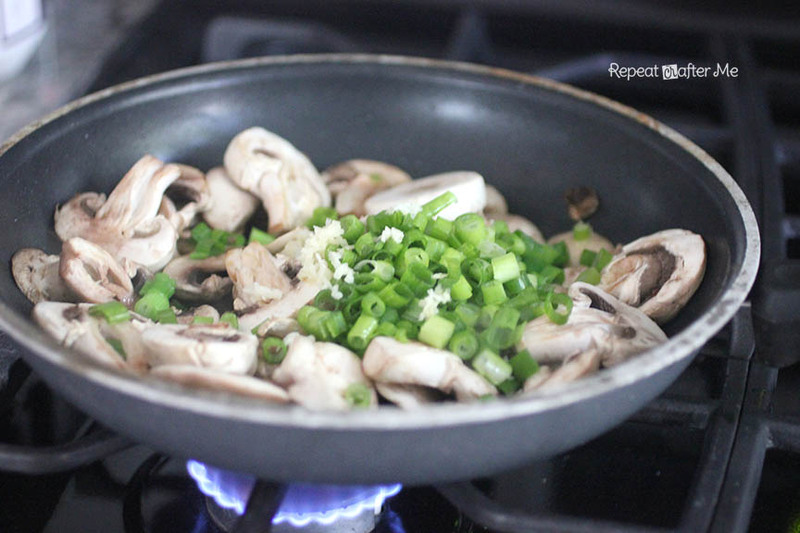 In skillet, saute mushrooms, onion, and garlic. 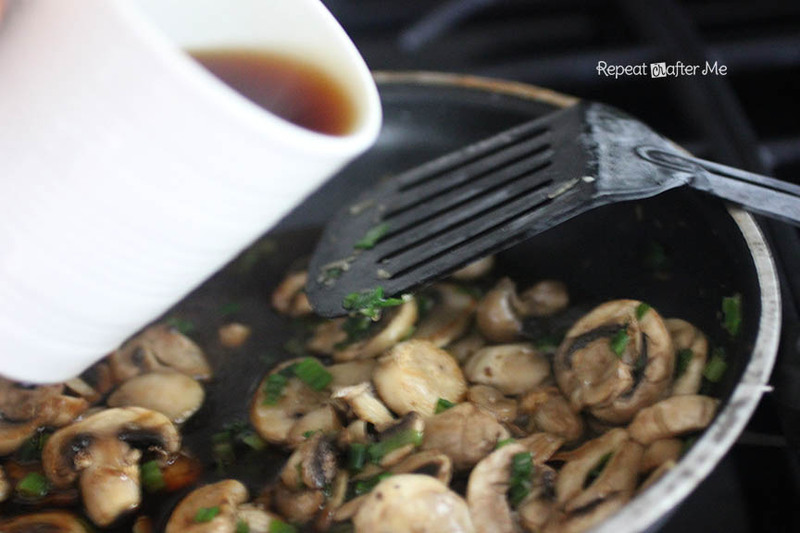 Pour in one cup of brewed coffee and add the rest of the spices (salt, chili powder, and pepper). 2. 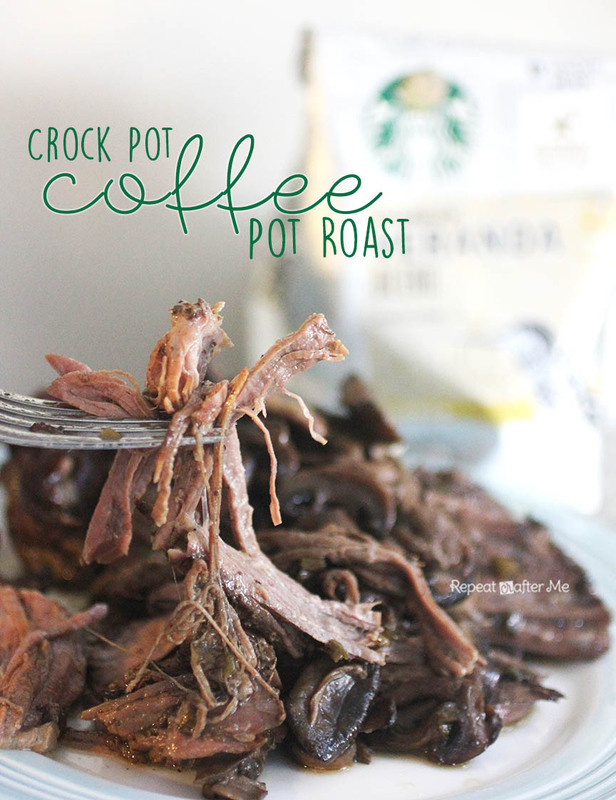 Place roast in bottom of crock pot. Pour sauce mixture over the beef. 3. Cook on low for 8-10 hours (I cooked mine for 9). 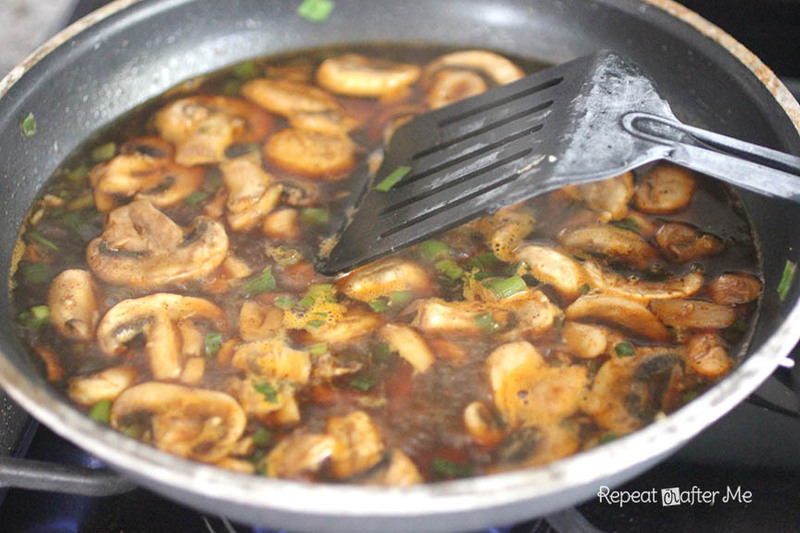 When finished slow cooking, you can transfer sauce into a saucepan and create a thick gravy by adding in 1/4 cup cornstarch and 1/3 cup water mixture gradually to the sauce. I personally didn’t do this because I loved the gravy as is. I served mine with roasted sliced potatoes and asparagus. So tender and juicy, it shreds better than it cuts. Basically falling apart and melting in your mouth! YUM-O! 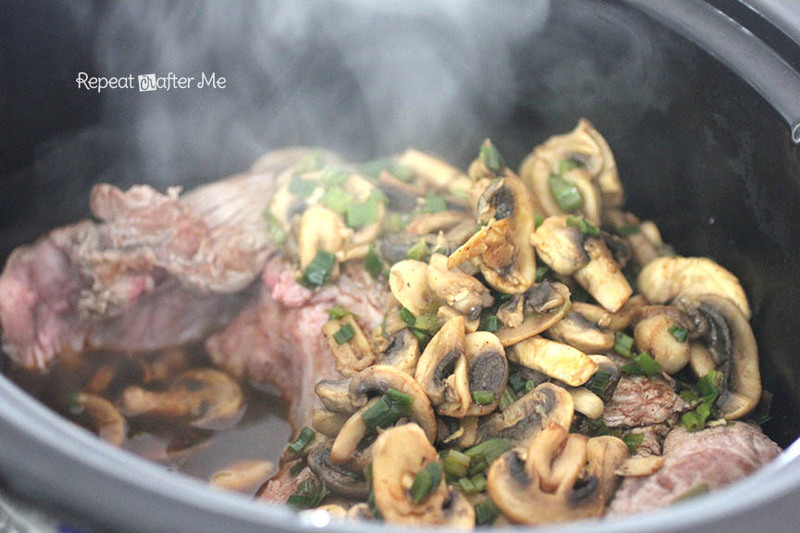 Think I'll put this in the crockpot tonight and have it for lunch tomorrow. OMGosh…it sounds/looks soo good!